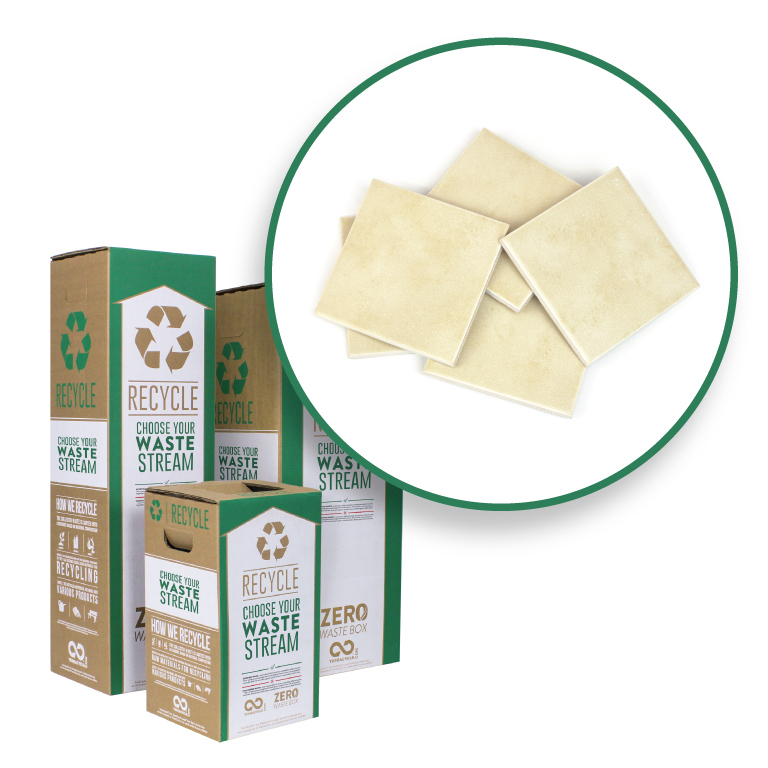 Recycle any office supplies through this Zero Waste Box. 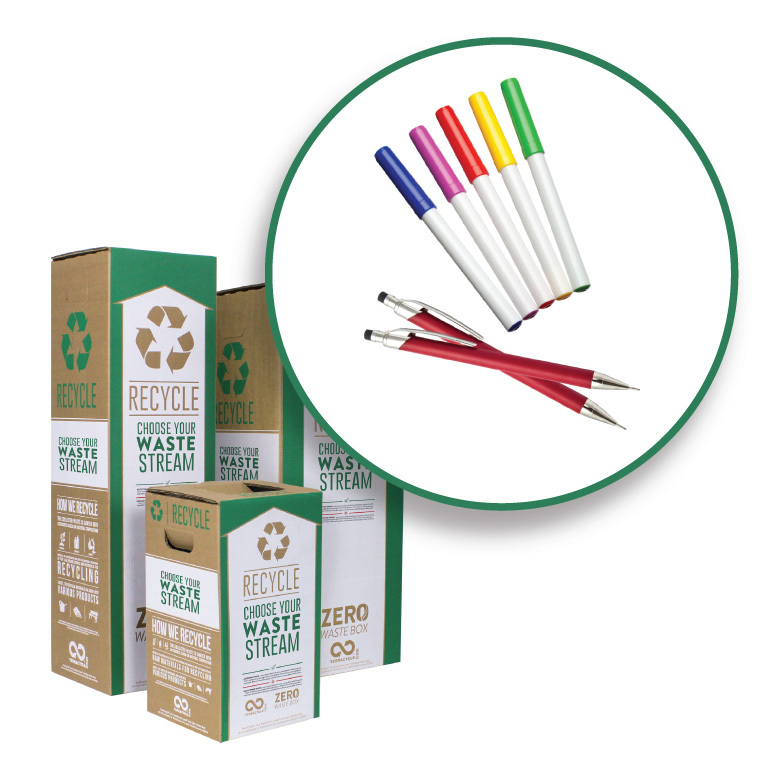 TerraCycle has created a zero-waste solution for all your office supplies. 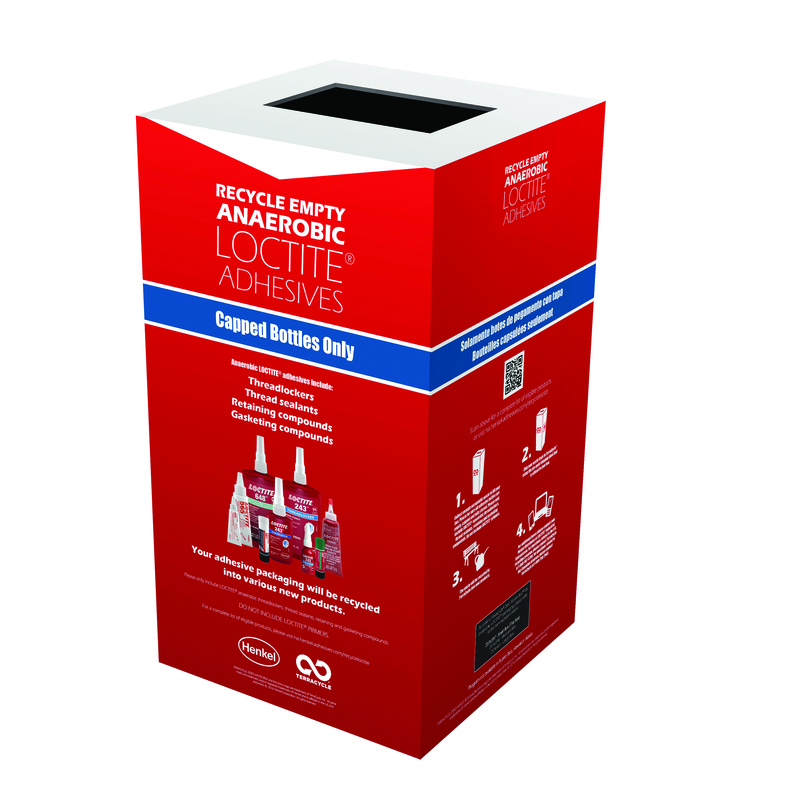 Use this box to recycle any non-electronic items used in your office. 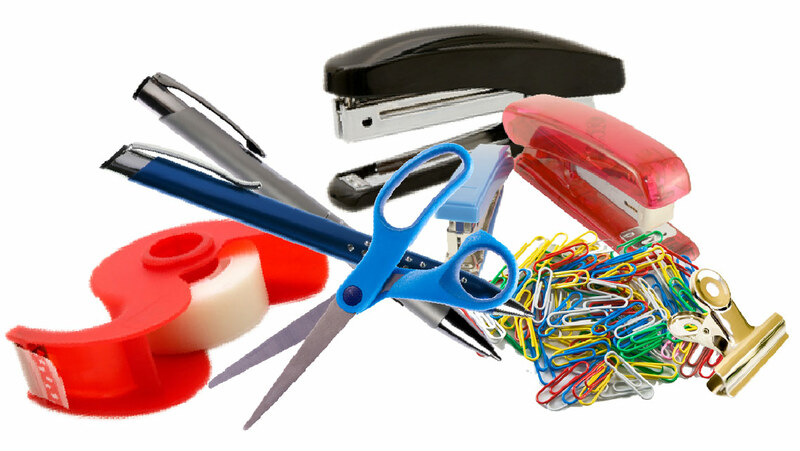 Please send us your discarded, non-electronic office tools such as tape desk organizers, card and document filers, binders, calendars, labels, staplers, writing instruments, hole punchers, dividers, paper cutters, and correction supplies. 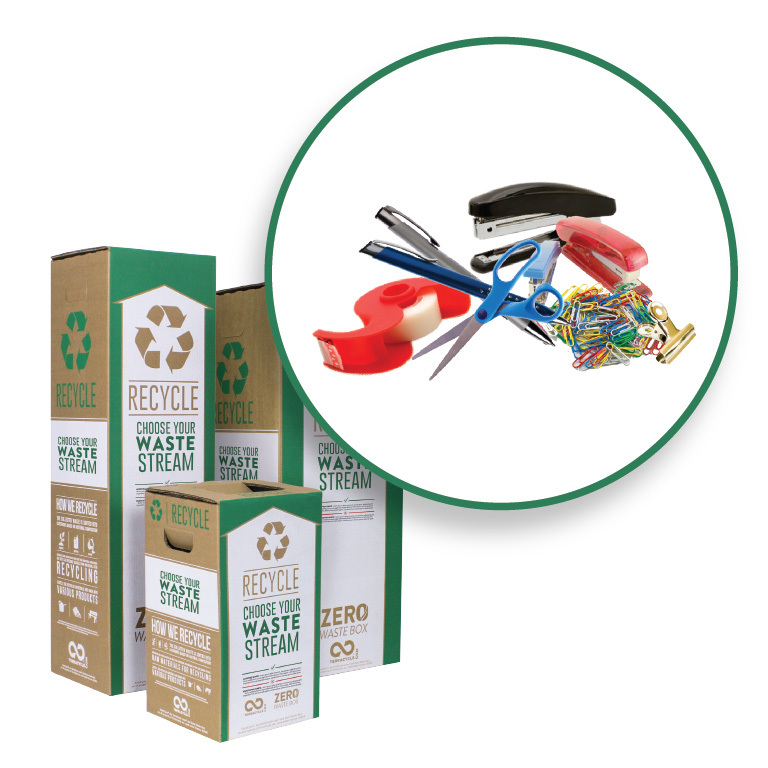 As well as fasteners including paper clips, staples, and binder clips, and discarded backing from sticker and label sheets. Please do not include office e-waste, like telephones, electronic staplers and label making machines. We will also not accept household hazardous waste such as lithium ion batteries, pressurized canisters, pesticides, paint or medical sharps.